Fine Art Shippers will be present at this year’s edition of Palm Beach Jewelry, Art & Antique Show held in West Palm Beach, FL on February 13-19. Fine Art Shippers is delighted to announce that our art logistics company will be present at this year’s edition of Palm Beach Jewelry, Art & Antique Show held in West Palm Beach, FL on February 13-19. Our team will be pleased to provide both exhibitors and visitors of this well-known annual art show with professional art handling, art packing, art shipping, and other art-related services. 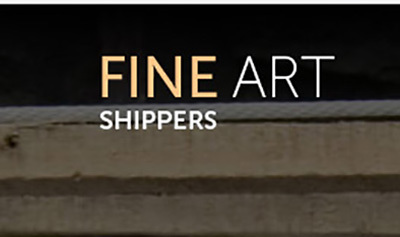 Fine Art Shippers has years of experience in serving art business professionals and individuals at the international art fairs and shows held in the United States and abroad. In particular, we are proud to offer comprehensive art logistics services at Art Basel, Art Miami, CONTEXT Art Miami, Original Miami Antique Show, Art Wynwood, New York Architectural Digest Design Show, and many other shows and fairs in one way or another related to exhibiting and selling art and antiques. Moreover, we not only provide our clients with fine art shipping and handling services but also set up booths, install art, consult, and even procure art for businesses. Fine Art Shippers will offer all these and many other services at Palm Beach Jewelry, Art & Antique Show 2019 that is going to be a memorable event full of art and creativity. 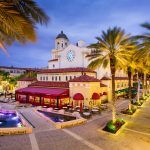 Palm Beach Jewelry, Art & Antique Show is the largest art and antique show in the United States, which brings together exhibitors from around the world. 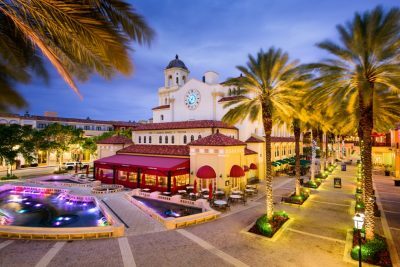 This prestigious international event is held this year at the Palm Beach County Convention Center located at 650 Okeechobee Boulevard in West Palm Beach, FL. The fair opens with an Exclusive Vernissage Preview and VIP Party on February 13. General admission dates are set for February 14 through February 19. As always, Palm Beach Jewelry, Art & Antique Show is completely dedicated to fascinating antiques, exquisite works of art, and the finest jewelry. Among the exhibitors are many reputable antique and jewelry stores, dealers, and galleries, including Charon Kransen Arts from New York, Guarisco Gallery from Washington, D.C., House of Whitley from Dania Beach, Patti Esbia Antique & Estate Jewelry from Palm Beach, Moira Fine Jewellery from London, Galerie Steinitz from Paris, and many others. Besides, Palm Beach Jewelry, Art & Antique Show 2019 welcomes back the educational lecture series featuring industry experts, conservators, curators, and other specialists ready to share their extensive knowledge on a variety of captivating topics. Whatever art and antique logistics assistance you need, please feel free to contact Fine Art Shippers! We will be happy to provide you with art packing, art shipping, art installation, or any other services you need, all available at very competitive rates!